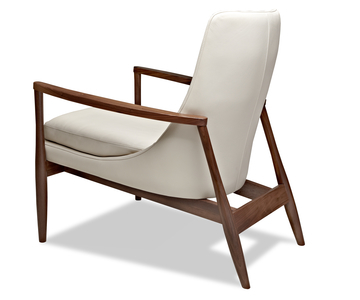 The Aaron chair is inspired by a modern Danish design. 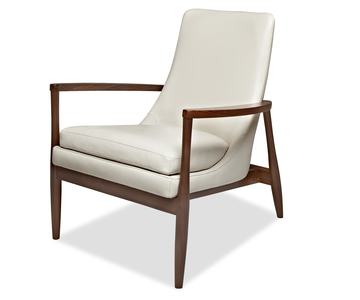 The solid walnut base securely cradles the contoured, comfy seat structure. With subtle curves and refined style, this accent can easily be paired with several different styles. Available in an assortment of fabrics, leathers, and wood stains.